According to a recent HFE opinion poll, 70 per cent of fitness enthusiasts in the UK, which included regular gym-goers and trainee fitness professionals, would rather participate in Pilates than Yoga. In our recent infographic, we compared the two forms of exercise and subsequently conducted a poll to see which one is the most popular in the UK at the moment. While there are significant advantages associated with both modes of exercise, it’s clear that Pilates holds more appeal among those we questioned. What is it about Pilates that people prefer? As well as confirming which of the approaches is most popular, our poll also encouraged people to explain why they favoured one approach over the other. The most common response was that Pilates “is more dynamic” and “it is better suited to those who are hoping to lose weight and tone up”. Several of those polled stated that Pilates “feels like a proper workout”, while others suggested that it was a more “fun” way to increase their heart rate. This information provides an interesting snapshot of what people think of Pilates and Yoga, and what they are looking to achieve from their workouts. Those who have seen our infographic will know that Pilates and Yoga are not new approaches to exercise – far from it. However, the popularity of these two approaches has risen significantly in recent years, and has been helped by numerous celebrity endorsements and inspirational stories of people who have used both approaches to good effect. One of the respondents who opted for Yoga over Pilates made the point that they had found a great Yoga instructor who manages to get the best out of them. “I Love and honour my instructor’s knowledge and skill. I also prefer the balance and breathing cadence of Yoga,” they wrote. Adding to this point, one of the respondents who chose Pilates said they believe the standard of teaching is getting far better from instructor to instructor. 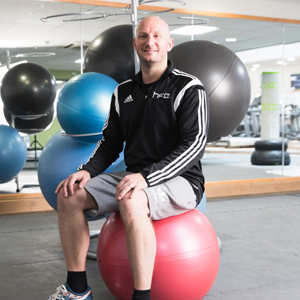 As Yoga and Pilates grow in popularity, it’s vital that gyms and health clubs hire enough qualified instructors to meet the demand. As things stand, this is something they are struggling to do, but we’re confident things will soon change. With more people studying towards a Level 3 Diploma in Mat Pilates and undertaking Level 3 Yoga Teacher Training courses, the number of qualified instructors is increasing year on year, which means you’ll find it even easier to locate a teacher who you can trust. HFE Disclaimer: The information and opinions explained in this article are not those of Health and Fitness Education. They are merely the responses we received from our recent opinion poll.